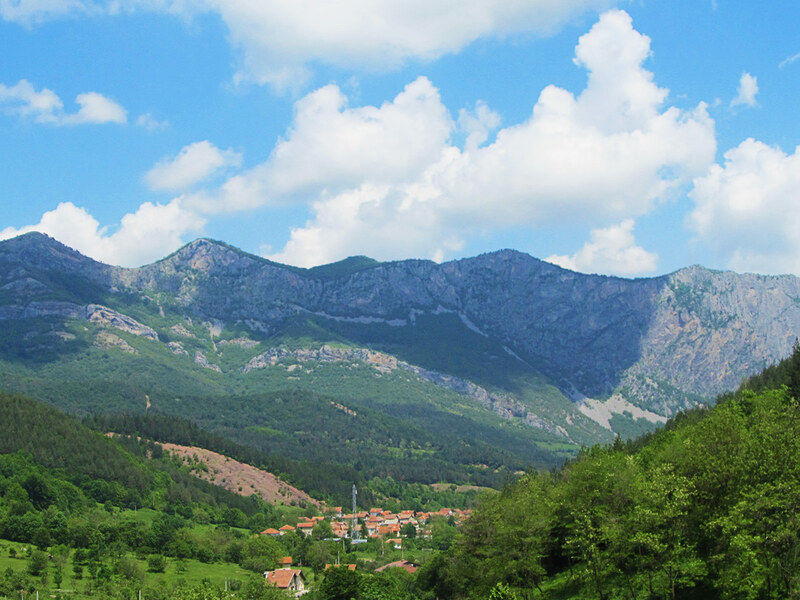 Join us hiking along the mountain range that gave its name to the Balkan Peninsula. Discover rural Bulgaria, visit UNESCO-listed heritage sites to learn more about ancient cultures and see the Festival of Roses. In June we can take you hiking in a region where the main attraction happen to be – roses! The Valley of the Roses is an area of about 3,300 square kilometres – extending more than 130 km along the Balkan range and enclosed by two mountains, which helps create a specific microclimate that’s ideal for roses. The Balkan Mountains, also called Stara Planina or “the Old Mountain”, give their name to the whole peninsula. The range is 560 km long and separates Bulgaria into two parts – northern and southern. In Bulgaria, the range starts from Vrashka Chuka peak (on the border with Serbia) and ends at Emine Cape on the Black Sea. The highest peak is Botev, at 2,376 m (7,795 ft). The Turks first called the range “Balkan”, which means “a chain of forest mountains”. In Bulgarian the name “Stara Planina” means Old Mountain, but in fact it is one of the youngest mountain ranges in Bulgaria, forming part of the Alpine-Himalayan chain. We’ll be taking you to the Festival of Roses – the biggest event in the region: it was held first in 1903 in Kazanlak, where rose cultivation and the rose industry have been maintained by generations of producers and entrepreneurs from the valley. 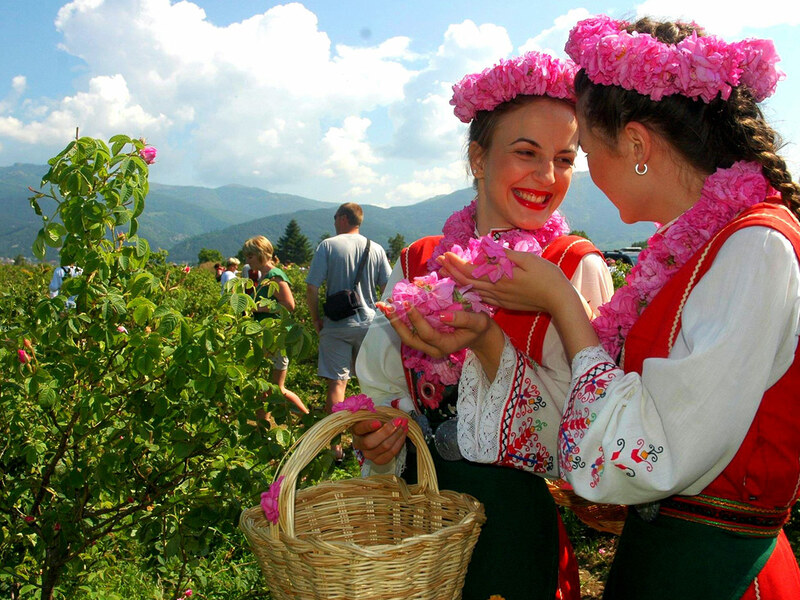 Every year, during the first weekend of June, the local community organizes the annual Festival of Roses, which over the years has become a symbolic reflection of the lifestyle, spirit and cultural patterns that typify the Kazanlak region. 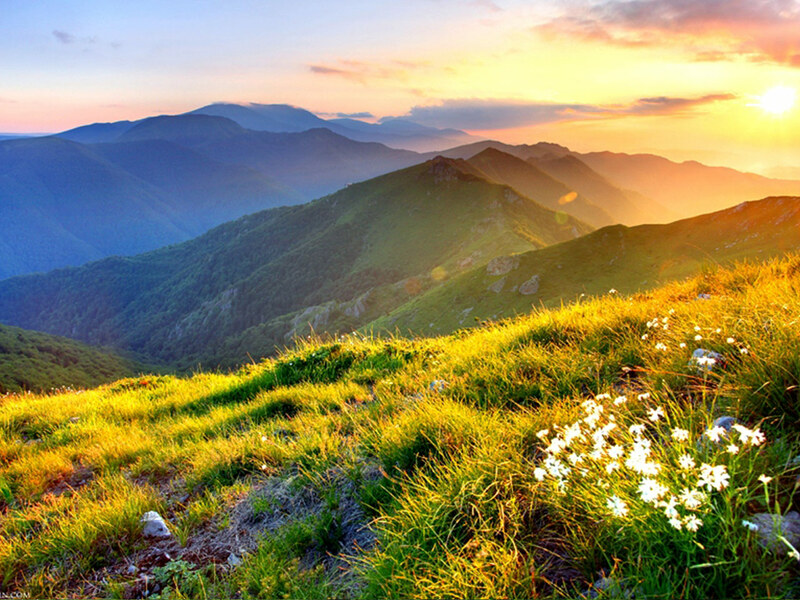 The Balkan Mountains are home to the Central Balkan National Park, as well as ten individual nature reserves. The mountains are rich with water, and our hiking routes cross many rivers, springs and streams, while waterfalls are considered a special attraction of the region. Some of the most visited are: Babsko Praskalo, Borov Kamak, Karlovsko Praskalo and the highest one on the Balkan Peninsula, which we’ll be visiting on Day 4 – the 124 m (407 ft) Raysko Praskalo. The terrain features a number of caves, including the Magura Cave, known as the “Bulgarian Altamira”. Although we won’t reach it on this particular trip, it is worth mentioning since it is included in the UNESCO list of World Heritage Sites because of its cave paintings, made with guano, which date back to between 3000 and 1200 B.C. Stara Planina has played an important role in the history of Bulgaria, especially during the resistance against the Ottoman Empire, when the rebels took refuge in the Balkan Mountains. Many medieval monasteries are situated in the mountains and their foothills. 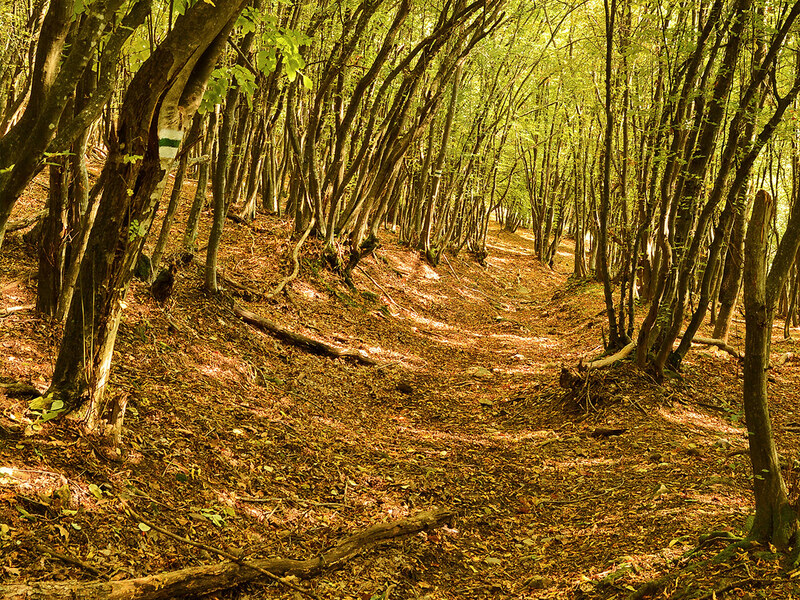 Up to 800 m (2,624 ft), the majority of the forest consists of hornbeam, oak, and beech trees. Above this level there are small formations of white fir and black pine, as well as spruces. The highest part of the mountain features meadows, wild briar, hawthorn, blackthorn, juniper and other flora. If you are lucky, you can find Stara Planina’s cowslip, which is an endemic species, or even edelweiss in the central part of the mountains. The local preserved wildlife includes brown bears, wild goats, wild boars, deer, wolves and foxes. Day 1: We arrive in Sofia at midday, and our own minibus driver will take us from Sofia airport and transfer us to the village of Enina (2.5 hours away), where we will stay in a traditional guesthouse. In the afternoon or evening we’ll reach the town of Kazanlak during the main event of the Rose Festival – the street carnival. We can watch the parade’s masked participants and enjoy the festive atmosphere in this little town. The festival ends with a street procession performed by costumed participants of the International Folklore Festival. Day 2: On the second day we will learn all about roses: the process of rose picking, the rose-related traditions in the nearby villages and all the uses and products of the rose. Extending more than 130 km (80 miles) along the Balkan mountain range, the Rose Valley is enclosed by two mountains, which shield it from cold winds in the wintertime and help create a specific microclimate. The rose bushes flower for about 25 days a year, from mid-May to mid-June. The blooms are picked by hand early in the morning when the aroma is strongest, and are transported in small quantities to the distillery. Day 3: We have breakfast with our hosts, from whom we’ll learn more about life on a Bulgarian farm – and we will have time for some horse riding in the rose fields. Alternatively, an optional visit to the thermal spa at Pavel Banya, 29 km (18 miles) from Enina, can be organized. After these activities we’ll have lunch in a traditional tavern and taste the typical dishes of the region. Next we’ll visit the regional historical museum, where we will become more familiar with the ancient history of the Balkan Peninsula and the culture of the Thracians. We then visit the Kazanlak Thracian tomb – a UNESCO world heritage site. In the afternoon we will visit the Damascena ethnographic complex, where the hosts will show us how rose oil is made. Then we return to our accommodation to relax and enjoy an evening on the farm. Day 4: We leave the Valley of the Roses for the mountains. We’ll have a 30-minute drive from the village of Enina to Kalofer – a beautiful rustic settlement, typical for its revival period architecture. From here we will reach the highest waterfall in the Balkan Peninsula, the 125 m (410 ft) Raisko Praskalo waterfall (translated as Heavenly Fountain). To reach it, we’ll hike our way through picturesque forests, all the way up to Rai (Heaven) – the mountain hut that will accommodate us for the night. Today’s hike is estimated at 4.5 hours, starting from 785 m (2,575 ft) above sea level and reaching 1,430 m (4,691 ft), with no descent. Day 5: Day 5 is our most challenging day – we will climb the highest peak of the Balkan Mountains, trekking along the highest parts of the massif until we reach the summit of Botev Peak, at 2,376 m (7,795 ft). After a short lunch break we will make our descent through the most stunning landscape the mountain can offer – with 250 m (820 ft) of vertical cliffs, green meadows and oak forests. The trail will lead us to our shelter for the night, the Vasil Levski hut. 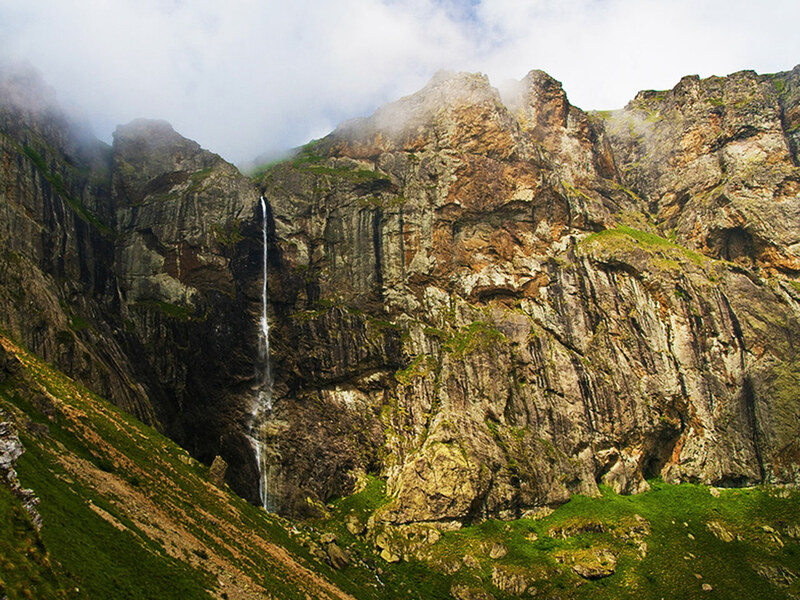 We will pass by a beautiful 32 m (105 ft) waterfall located near the hut, at 1,450 m (4,757 ft) above sea level. The hike for today will take 6.5 hours, starting from 1,430 m (4,691 ft) above sea level, reaching the highest point at 2,376 m (7,795 ft), with a total ascent of 946 m (3,103 ft) and 928 m (3,044 ft) of descent. Day 6: On Day 6, we will hike through some of the most exciting parts of the mountain range. After breakfast at the hut we’ll start with an ascent through some thick oak forests to the summit of Golyam Kupen (2,169 m/ 7,116 ft), often described as the most beautiful peak in this mountain area. Today’s trek is estimated to require 5.5 hours of active hiking. We’ll start at 1,448 m (4,750 ft) above sea level, with the summit at 2,169 m (7,116 ft). Next is a climb to the Ambaritsa summit (2,166 m / 7,106 ft), which is one of the symbols of the region. After a lunch break we’ll descend to the Dobrila mountain hut, where we’ll spend the night at 1,750 m (5,741 ft) above sea level having completed a total ascent of 825 m (2,706 ft) and a descent of 523 m. (1,715 ft) over the course of the day. Day 7: The last hiking day on this trip to the heart of Bulgaria will start with breakfast at the Dobrila hut. Today’s trek will take 6 hours, starting at 1,750 m (5,741 ft) (total ascent: 243 m (797 ft); descent: 383 m (1,256 ft)) and reaching a highest point of 1,819 m (5,968 ft). The trail we’ll be hiking crosses the Steneto nature reserve – a centuries-old forest scarred by rocky ridges and carved out by many caves and waterfalls. Amid this beautiful scenery we will reach the main ridge of the Balkan Mountains. On arrival at the Beklemeto mountain pass we will pick up our minibus transfer to Sofia, where we have an early check-in at our hotel and a farewell dinner. Day 8: The departure is based on the outbound flight from Sofia airport. This trip starts and ends in Sofia. We can adapt the trip according to your choice of flights.